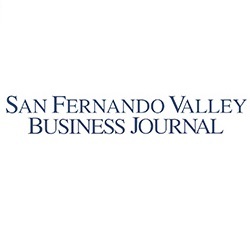 This column originally appeared in the San Fernando Valley Business Journal. I’m a father of two beautiful, energetic, smart kids, the oldest of whom is about to start kindergarten. As many of my fellow parents will know, this has felt like an overwhelming decision for my wife and me. I know - it’s ‘just’ kindergarten. But choosing the right school means choosing where my son will thrive and form the bedrock of his education, career, and life. I want to do the best by him that I possibly can. The teachers, parents and students at LAUSD are hard-working and dedicated. But they can only work so hard to overcome the systemic failure of leadership by the district. Unfortunately, LAUSD has chosen to continue kicking the can down the road by crafting a new tax which will cost the average family hundreds of dollars per year. Not a single penny of that tax is guaranteed to go to classrooms or our kids’ education. Our kids deserve better than the district we have, and we all deserve better than the backroom deal which was hammered out to benefit adults, not kids. LAUSD chose to pursue an option which allows district administrators to maintain the status quo – but the status quo is just not working for our kids. Headline after headline confirm what we see in the classroom: LAUSD is ineffective, bloated, and failing at the only thing which is really important: providing a high-quality education to the next generation. Students and parents can see how LAUSD is failing, and they’re voting with their feet. Dropouts are up, with 12.2 percent of high school students giving up their hopes of succeeding in this environment. Enrollment is down, as parents choose high-quality alternatives such as charter schools, private education, or moving to a better public school district. It would be hilarious if the stakes weren’t so high: LAUSD leaders’ response to declining enrollment is to shut down high-quality options, so that middle-class parents are forced into LAUSD’s failing schools. That reaction is such a perfect example of LAUSD’s attitude: other kids’ receiving a good education is bad because it hurts adults (declining enrollment means fewer administrators and fewer district jobs). So we should force those kids to get a bad education as well. So about this tax. 16 cents per square foot of your building, raising $6 billion over 12 years, without a single guarantee that any of the money will improve education, any kind of assurance that LAUSD will reform to focus on students, or any kind of accountability mechanism besides airy promises that the same folks who have overseen this mess for the last decade will set something up.